We specialise in experiential placemaking, focusing on the temporary use of public spaces for enriching events and audience exchanges. We believe the success of an urban public space is determined not simply by bricks and mortar but by its planning for human use. The Produce UK philosophy is that culture has a transformative power, which can be used to enhance the public sphere and reinforce the sense of identity of a place. Placemaking is the process of looking at public spaces from a holistic perspective, with the goal of amplifying the presence of a location in a way that is relevant to its unique characteristics, and promoting increased human interaction. The practice of placemaking continues to grow as it is explored and espoused by artists, urban planners, architects, and community leaders the world over. It’s now widely agreed that public places must be planned with the people who use them in mind, incorporating the diverse voices that form neighbourhood communities and addressing local social issues. The aim of placemaking is to suffuse the simple delivery of the built environment with carefully planned engagement programmes, making the space more attractive to users, and broadening potential for commercial opportunities. We undertake every placemaking project by evaluating the specific uses of the public space and the relationship between those that use it. By deeply understanding the unique characteristics of a place and its occupiers we curate bespoke programmes that are relevant, exciting and inspirational. Our ultimate goal is to facilitate and strengthen the emotional bond between people and places. The commercial event-making work we do for brands and organisations enables us to share and apply the latest knowledge and innovations from the experiential industry to the public realm. 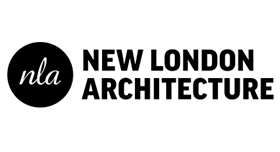 We are members of New London Architecture (NLA), an organisation offering support, knowledge and discussion relating to London’s urban sphere. Having an ear and a voice in the international placemaking conversation means we are always up to speed with emerging trends and developments, ensuring that our work remains leading-edge.